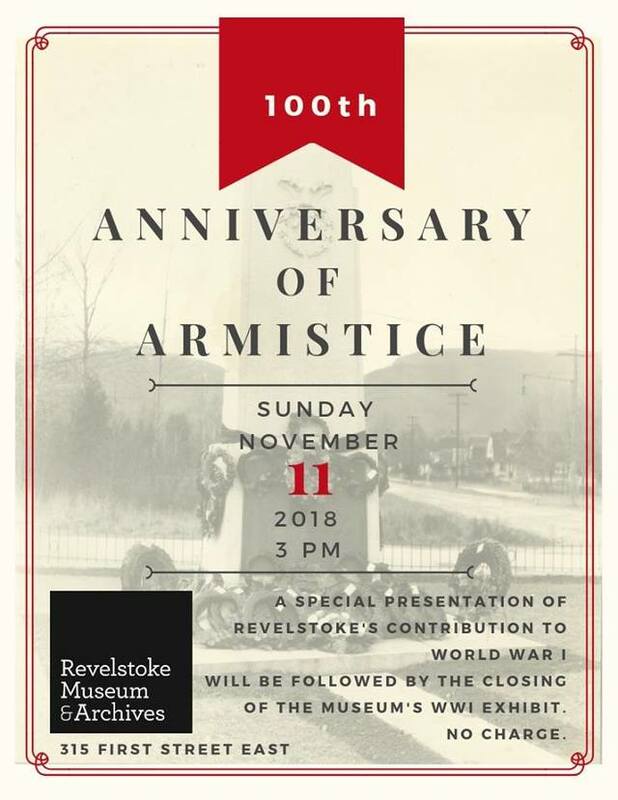 Revelstoke Museum & Archives is hosting a talk to commemorate the 100th Anniversary of the end of World War I. The talk will highlight Revelstoke's contribution to the war effort, and how the conflict affected the community. The talk begins at 3:00 pm on Sunday, November 11 at 3:00 pm. There is no charge. After the talk, there will be a brief ceremony to formally close our exhibit Answering the Call - Revelstoke During World War I.